If you’re in the market for a new or pre-owned vehicle and want to make sure you have the biggest selection and most competitive financing available, then come to Crestview Chrysler in Regina, where we offer great deals on all our vehicles. Whether you’re looking for a new Chrysler, Dodge, Jeep, or Ram, we have the right model for you, including an excellent selection of used cars, trucks, and SUVs. Customer Choice Financing – At Crestview Chrysler we offer the exclusive Customer Choice Financing plan to our customers. This popular package includes flexible terms, so that you’re in control the whole way through. You can return your vehicle after 36, 48, or 60 months. If you decide to pay off the rest of the loan at any point during the financing plan, you can keep the car for yourself without any more payments or continue financing the vehicle until the end of the amortization period. Help with Your Credit Score – Having a bad credit score doesn’t mean you can’t have the car want. At Crestview Chrysler, we have great deals for drivers regardless of your credit history. One of the best things about financing a vehicle is that making payments on time throughout the period of your loan will help to boost to your credit score. 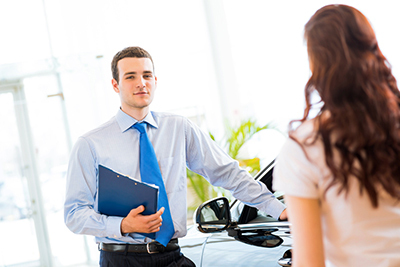 Get Approved Today – Crestview Chrysler can help you get the ball rolling right away. In order to qualify for a financing plan, all you have to do is fill out our online financing application and one our finance experts will get back to you with a quote. Otherwise, please stop by our dealership anytime for a test drive and to talk to someone about your best financing options. Crestview Chrysler is open Monday through Thursday from 9:00 a.m. – 8:00 p.m. and Friday and Saturday from 9:00 a.m. – 6:00 p.m.
Our dealership is conveniently located at 601 Albert Street in Regina, just south of the railroad tracks and across the street from the Concept Collision Auto Body. Come see us today for a great deal on a great car!